Glow Artisan was a downloadable game for DS, but that might as well mean it was black ops. One of the better-kept-secrets on Nintendo's machine is now out for iPhone and iPad. It's painting mixed with puzzles. As always, it's easier to show then tell how a good video game works. 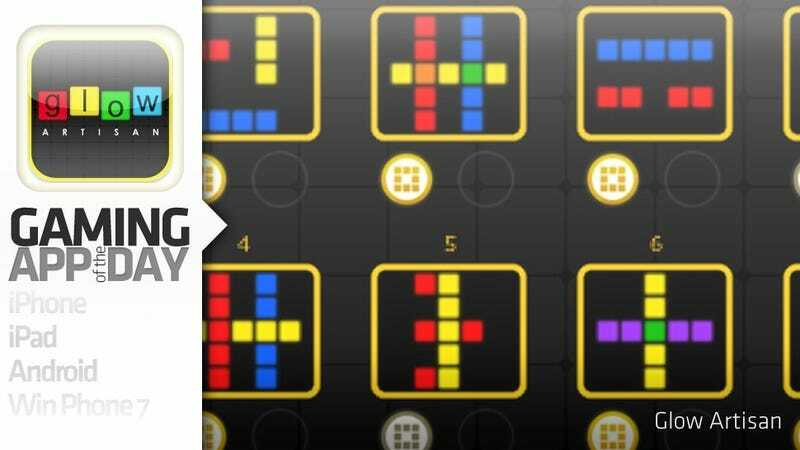 Watch the clip as I show you the basics of Powerhead Games' Glow Artisan, finger-painting through some basic puzzles, before stumbling through a couple of trickier ones. The DS-to-iPhone transfer went smoothly, with the game making good use of the verticality of both device's displays. Your target painting is at the top; your canvas on which you can replicate it — using only combinations of red, yellow and blue — is at the bottom. Users can create their own puzzles too, or base them off of saved photos. I found Glow Artisan to be lacking in character; it's begging for a little more flair. The gameplay, however, is solid. Try the free version at least. The full version's worth it.